Where to go. What to do. What to see. 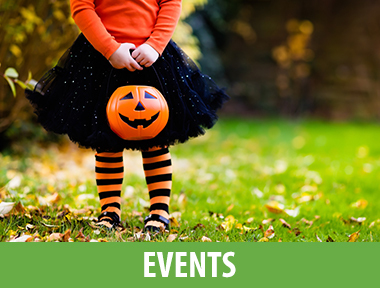 Everything you need to know while you are on The Monterey Peninsula during the month of October. Whether you caught the DIY bug from creating homemade Halloween costumes for your kids, putting together pretty decorated pumpkins, or you're getting crafty for the first time, these homemade Halloween decorations make it easy to trick out your house for the holiday inexpensively — but without looking cheap. For cheap jack-o-lantern decorations that will last past Halloween, cover clean, empty jars with orange construction paper or tissue paper. Add features with black construction paper, then pop in a tea candle—with flames, or battery-operated—and watch your "pumpkin" glow. You won't want to dust away these Halloween cobwebs: Create chic, cheap yarn spider webs to decorate light fixtures, drape over curtains, or hang from a railing. Don't forget to attach a tiny plastic spider to each sack. 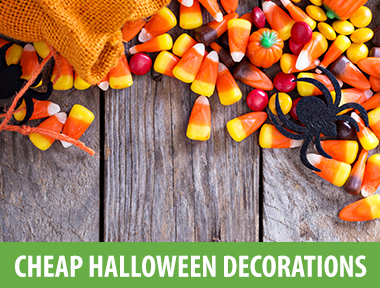 Christmas ornaments make festive, cheap Halloween bulbs to decorate a house or yard. Cover ornaments in paper mache, then paint with Halloween designs like striped witch's stockings, pumpkins, or ghosts.